Thu., March 1, 2018, 10:37 p.m.
MOSCOW, Idaho – Idaho had its season leading scorer, Victor Sanders, on the floor for only 8 minutes in the second half, as he battled foul trouble and eventually fouled out with 5 minutes, 9 seconds to play after scoring 12 points. But Sanders made the most of his time early in the period with seven important points that steadied the Vandals as they coped with resilient Northern Arizona. After Sanders left with his fourth foul, Idaho seized momentum and went on a 14-0 run that allowed it to pull away from the Lumberjacks. The Vandals pushed their lead to as many as 23 points before defeating NAU 66-52. “His bringing some energy back and getting us out on a little scoring run there was really important for the game,” UI coach Don Verlin said of Sanders’ contribution early in the final period. With NAU leading by two points, Sanders made a drive highlighted by a scoop between his legs and finished with a flashy reverse layup to tie the score at 27. His 3-pointer gave Idaho a 30-29 lead, and he added a pair of free throws to put the Vandals up 34-30. They held off the Lumberjacks the rest of the way. Idaho was most productive after Sanders left with his fourth foul. The Vandals extended a 41-39 lead to 55-39, moving the ball on offense and challenging the Lumberjacks’ defense. “Nobody is a good shooter when you take guarded shots,” Verlin said. Blake recorded his 10th double-double of the season. He led the Vandals in most statistical categories and was the guy Idaho could count on at nearly every crucial turn. Blake scored 22 points and pulled down 14 rebounds, including six on the offensive end. He also blocked three shots, including rejecting NAU’s Isaiah Thomas and Brooks Debisschop on back-to-back possessions. 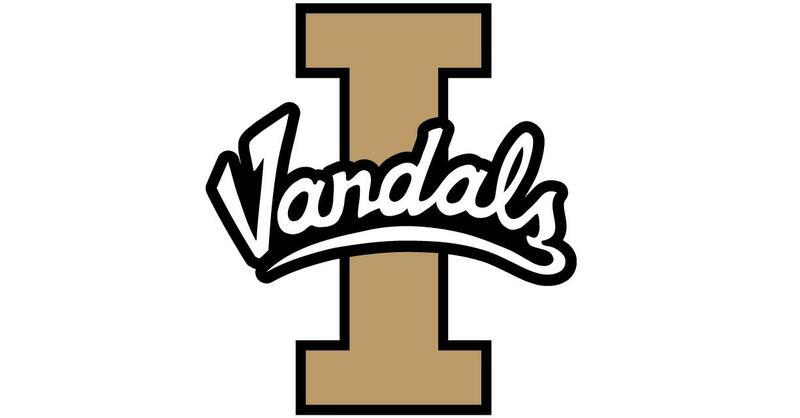 Blake and Scott, who contributed seven points, 12 rebounds, three assists and a block, were Idaho’s keys to the win, Verlin said. “Those two guys really carried us tonight from a defensive perspective and on the boards,” he said. Idaho’s 16 turnovers weren’t helpful. But the Vandals kept NAU under control on offense. The Lumberjacks shot 17 of 59 from the floor, including 4 of 14 on 3-pointers. Torry Johnson and Jo Jo Anderson led NAU with 11 points apiece. The Vandals had a handle on the Lumberjacks through much of the first half as NAU shot 9 of 31. On one possession early, Thomas and Debisschop missed five consecutive tip-in attempts. Idaho’s largest lead was seven points. The grip proved to be precarious. The Lumberjacks began carving into Idaho’s advantage with about seven minutes to play in the period. Anderson made three consecutive trips to the free-throw line after being fouled by Nate Sherwood once and Trevon Allen twice. He hit all six free throws. He also connected on a last-second shot from about 10 feet beyond the arc to give NAU a 25-24 halftime advantage. With the victory, coupled with Weber State’s loss to Montana, Idaho locked up second place in the Big Sky Conference and secured a first-round bye in the league tournament next week in Reno, Nevada. The Vandals are 21-8 overall, 13-4 in the Big Sky. Northern Arizona fell to 5-25, 2-15. Published: March 1, 2018, 10:37 p.m.